Training new employees early on in their employment is critical to their safe and successful integration into the role. The Canadian Centre for Occupational Health and Safety (CCOHS) offers helpful tips for orienting workers in their new functions on the job. The first month on the job can be a risky one for a new worker. This has nothing to do with their age — it’s because the worker is new to the job and needs proper orientation and training to be safe and successful. Employee orientation and training is vital and should be completed as soon as a new worker takes their place within an organization. Orientation sessions normally cover things such as explanation of the function of the work unit, organizational relationships, administrative arrangements, and various policies and rules. There are several steps that should always occur when making a new hire, or even when transferring an employee from one position to the next. The first step is to take a look at the job itself. As an employer, before you even hire you should assess the job and what it entails. What hazards will the worker be exposed to? Will certain situations present new risks? Will the worker have to enter a confined space, or get something from a hard-to-reach area or some other hazardous spot? Will the worker be welding or doing some other task that could injure the worker and others in the vicinity? Some tasks are better reserved for more experienced workers. The next step occurs before a person starts a new position. 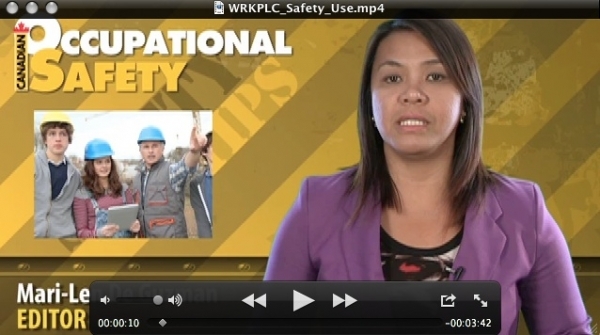 Everyone must receive effective health and safety orientation and training. This orientation could include the company’s health and safety policy, responsibilities of the employer and the worker, and hazards in the workplace. Workers need to know how to protect themselves starting from day one, who to go to for advice and what to do if things seem unsafe. And always remember workers have three basic rights: the right to know about the hazards, the right to participate in your organization’s health and safety efforts, and the right to refuse dangerous work. Once a worker starts their new position, employers should make sure all workers know that no one is to perform any task until they have been trained to do so. 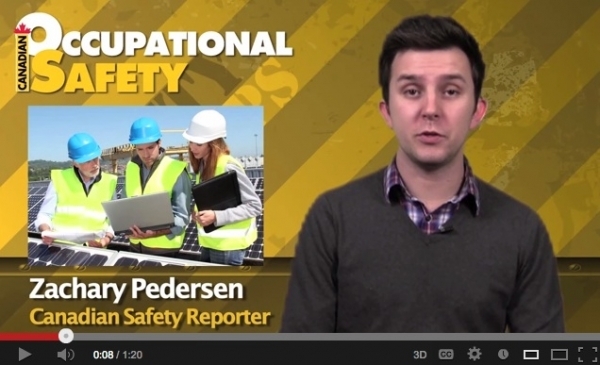 Workers should be encouraged to ask questions at any time — especially about safety. Demonstrations on how to do each task the safe way need to be completed and be done more than once. As an employer or supervisor, you should always be accessible — especially during orientation and training. Stick around, watch the worker do the task and correct any mistakes. They may feel pressured to get it right the first time, so you can help by being patient and repeating instructions and demonstrating procedures as often as necessary. Workplaces are required to provide hands-on training on the correct use of equipment. When demonstrating how to perform a task, always include safety features and control systems. Emergency procedures, use of personal protective equipment (PPE), right to refuse hazardous work, how to recognize hazards (including those outside one’s own work area), and any other necessary topics should also be included in worker orientation. The new worker should know to keep exit doors free from clutter, for example, and to make sure safety guards on machines stay on and equipment is turned off or disconnected after every shift where necessary. Workplaces should provide or ensure that the worker has all necessary PPE such as safety shoes, hardhat or gloves, as the job requires. Make sure the new worker knows where to find it, how to use it and how to care for it. Always keep an eye on your workers — included with this is the amount of time that is allotted for each employee to absorb what it is they are learning and how to properly conduct their work safely and correctly. A new employee can be expected to absorb only a certain amount of information in the first few days, so a brochure outlining the points covered in the orientation sessions is useful as a handout. It also serves as a checklist for the person conducting the orientation. A buddy system is a useful follow-up to the initial orientation, as well. This allows for on-the-job reinforcement of the information presented to the new employee and promotes the safety awareness of the experienced workers who are the "buddies". Soon after the orientation sessions, employees should be assessed on their understanding of the items discussed. With this, both the quality of training and the level of understanding can be evaluated. Review and retrain where necessary. Because new, inexperienced or transferred employees should be encouraged to ask questions at any time if there is doubt with regards to correct procedures, the new employee orientation may include a set of questions, such as: Can you show me that again? Or, why is this control necessary? Anyone supervising workers must have the knowledge, training or experience to organize work and its performance. Be sure new workers are closely supervised, and stick to recognized and safe work procedures. Know the laws and regulations that apply to keeping workers safe on the job, and know what is hazardous in the workplace. Health and safety education should always be included in employee orientation when an employee joins an organization or is transferred to a new job. It is well-known that inexperienced workers, in general, are involved in accidents at a higher rate than others. While experience can only be gained through time, both health and safety education and job skills training can be used to improve this record. Hamilton, Ont.-based Canadian Centre for Occupational Health and Safety is a federal government agency providing resource for the advancement of workplace health and safety. For more information, visit their website at www.ccohs.ca.